Posted byAtulHost	 1st Apr, 2019 3rd Apr, 2019 Leave a comment on Increase Your Productivity by Cleaning! I’ve lately developed a habit where, if I can’t focus on my work, I look around me and see if there’s any cleaning or organizing I can do. I wouldn’t call myself obsessive compulsive, not at all, for me it’s a way of staying productive, I’ll tell you why. First of all, if you asked a selection of people whether they would prefer working or spending their time in a clean, nice looking environment compared to a dirty, messy environment, chances are they’ll pick the former. You may be thinking, ‘Yes, obviously?’, but then why do so many of us struggle with keeping our work area clean? I know I used to. I’d get home from school, go home to work on a project or a song, take a plate of food and a glass of water in with me and leave it on my desk after consuming it. I told myself that I’d pick it up when I had a break in 15 minutes, but then I get distracted, I go off on another endeavour, so it sits there – not that my plate or glass is lonely as there’s plenty of other objects such as textbooks and pieces of (important) paper lying around. The problem with this, is that it eventually becomes a distraction from you working. It’s in the corner of your eye all the time, you may not be thinking about it; but your subconscious is, and it will work it’s way to you. Of course, this isn’t the same for everyone – in fact, some people are more productive when sitting at a messy desk or work area. I’m talking from a personal perspective, like I do with most of my posts on this website. But I know some of you will benefit. So Why Should You Keep Your Work Area Tidy? It Creates a Good Impression: If you’re the type of person who likes to work from home, then this doesn’t matter much, unless you have regular visitors. If you own a business, or work in a company that involves you having your own work space; then this point can be important. 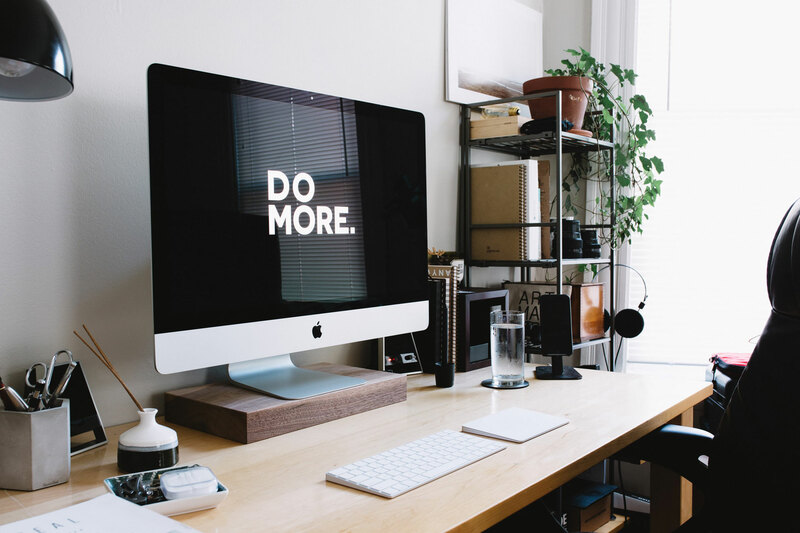 A well organized and cleaned work space can create a good impression for customers, and also your boss (if you work for someone), it makes you look like you’ve got things under control, that you’re organized. One could say, a visual outlook of personality. It’s also more professional, you wouldn’t expect to walk into a 5 star hotel and notice dirty plates and piled up documents all over the reception desk. It Relieves Stress: A clean workspace tells your mind that you’re organized and have things under control, for a lot of people, clean environments give a sense of peace and comfort, which in turn leads to reduced stress. Another point to make is that by boosting your productivity, you’re most likely going to reduce stress as you have more time to do other things. It’s More Hygienic: By having a clean work area, you’re less likely to breathe in dust and also less likely to contract an illness from bacteria lying around. How Can You Keep Your Workspace Tidy? Set a Routine: Set a day each week where you do a quick clean of your desk, under your computer, keyboard etc. Get rid of anything around your desk that could be distracting as well. Committing to one day per week shouldn’t be too hard and will be easy to keep track of. It’s also a good idea to do a proper clean (dust, wipe down etc) every couple of weeks or so, just be sure to keep it consistent. Get Inspired: Change your computer’s desktop wallpaper, or rearrange some item in your workspace. This may or may not work for you, but for me it works great. Whenever I change my wallpaper or rearrange something in my room, or even clean another area of the house; I get motivation to clean my workspace, so it all fits together well. Think About the End Goal: If you find it’s hard to keep up a regular cleaning routine, then think about your end goal. What benefits it will bring to you, how it will help out your business and/or productivity. Sometimes we forget to picture the end result and lose motivation. Do you have any tips on keeping a clean and tidy workspace? If so, what are they? Comment below!